You want a beautiful custom home that will last a lifetime, weather gracefully, and coexist with the planet. We at Riverbend Builders have the skills to make it happen. Green building is about more than just installing bamboo countertops and Energy Star appliances. It’s about creating a safe haven that connects your family seamlessly to the surrounding environment, forming a cohesive system for healthy living. If you want to do “sustainable” the right way, our team over here at Riverbend Builders is your best option. 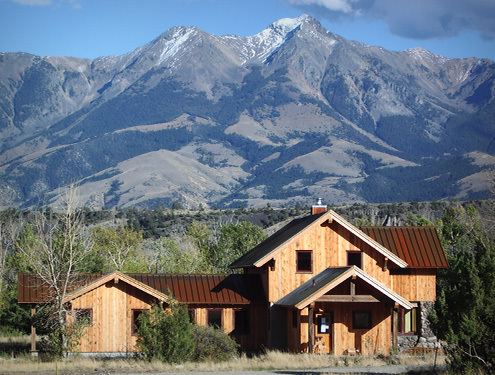 We’ve been building green in the Bozeman area since before it was cool because protecting the Montana we love has always made the most sense; because solid framing matters just as much as detailed carpentry; and because homes should be built to last. We work with the best architects and designers and take pride in creating each home as if it were a living, breathing organism. Because, hey, it pretty much is. We get why everyone wants to live in the beautiful Gallatin Valley, it’s a lifestyle choice, and a great one at that. But let’s look beyond budget, schedule, and square footage. Let’s help you make a worthwhile investment with respect to the surrounding landscape for generations to come. Too much of home construction is about meeting minimum requirements, when it should be about looking to the future. We build better homes by making smart design decisions and implementing them well, beginning with asking our clients what’s important to them. Then, we build you a home with your lifestyle in mind. Based on your living habits and site location, we’ll know whether to lay a slab-on-grade foundation, how to insulate the walls and roof, what type of windows and doors to install, how the floor system will work, whether we’ll be using radiant heat, and when to add alternative energy. And while sustainability is a huge goal of ours, we’re also practical in our approach, building above all else a structure that will shelter you for years to come. The home uses minimal energy for maximum comfort, resulting in a reduced impact on the earth’s resources over its lifetime. The home is well-built and long-lasting, meaning you get to relax and enjoy living in it, not just spend your days working on it. The home is set up in a such a way that adds to the well-being of its inhabitants. A small team of highly-skilled workers, Riverbend Builders is led by our founder, Matt Madden. With a degree in Wood Management and Technology from the University of Massachusetts, Matt takes a scientific approach to woodworking and construction. 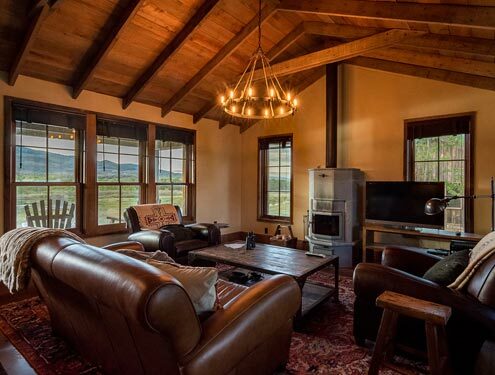 After first heading west some years ago, he spent ten years building custom homes as a talented carpenter before establishing Riverbend Builders in 2001 as one of the first sustainable contracting companies in the Bozeman area. Today, the company thrives on the continued growth in the Gallatin Valley, but still values the ability to focus on each job with the attention it deserves.